The Christian Passover details the scriptural and historical truths of the Passover in both the Old and New Testaments, leading the reader step-by-step through every aspect of one of the most vital and fundamental teachings revealed in the Bible. With over 500 pages, the book fully explains the meaning of the Christian Passover—a remembrance of the sacrifice of Jesus Christ, the Passover Lamb of God—in a most compelling and inspiring manner. The full meaning of the body and blood of Jesus Christ is revealed, showing the magnitude of God’s love for every person. 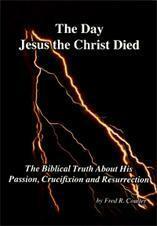 The Day Jesus the Christ Died—the Biblical Truth about His Passion, Crucifixion and Resurrection is the only book to present “the rest of the story”—left out by Mel Gibson in his epic movie “The Passion of the Christ.” Without the true historical and biblical facts, one cannot fully understand the meaning of Jesus Christ’s horrific, humiliating and gruesome death by beating, scourging and crucifixion. The author presents the full biblical account in a most compelling way. 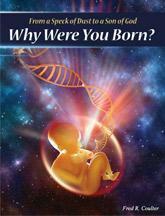 As you will see, the truth is more astounding than all of the ideas, superstitions and traditions of men! The Seven General Epistles is designed for an in-depth verse-by-verse study of the epistles of James; I and II Peter; I, II and III John and Jude. As part of the living Word of God, these epistles are as meaningful today for personal Christian growth as when they were written. Occult Holidays or God’s Holy Days—Which? For centuries the leaders of Orthodox Christendom have sold popular holidays—Halloween, Christmas, Easter, etc.—to the masses as though they had “Christian” meaning. This book effectively demonstrates that these celebrated holidays are not of God, but originated from ancient religions rooted in occultism. Contrary to the false ideas of men, the true biblical holy days of God have vital spiritual meaning and outline God’s fantastic plan of salvation for all mankind. The Appointed Times of Jesus the Messiah. Mainstream Christianity has little or no understanding of how Jesus’ messianic role has been carefully organized according to what Scripture calls God’s “appointed times.” As this book demonstrates, the “appointed times” of the Messiah follow the timeframe set by the biblical festivals and holy days as well as the 70-week prophecy of Daniel nine—all of which outline God’s plan of salvation. Indeed, it is only within this unique context that the role of Jesus as the Messiah can be rightly understood. God’s Plan for Mankind Revealed by His Sabbath and Holy Days. This first-of-its-kind, 598-page work provides a comprehensive look at God’s amazing Master Plan for the human family—precisely as it is outlined by the biblical seventh-day Sabbath and annual holy days. Each chapter is a transcript of an in-depth sermon or Bible study revealing God’s purpose from Genesis to Revelation. Actual sermons are included on an accompanying set of four CDs. Judaism—Revelation of Moses or Religion of Men? Contrary to Jewish claims, the religion of Judaism—with its elaborate code of traditions—does not represent the way of life God gave through Moses in the Old Testament. Using history, Scripture and the Jews’ own writings, this book demonstrates that Judaism is actually a false religion developed by men. Written by Philip Neal.